This month is the release of the long-awaited Everyday Raglan pattern! I’m so excited for this pattern, not only because it’s the culmination of a lot of hard work, but because raglans are just so darn cool. The first sweater I made was a raglan, and I remember being completely mesmerised by its construction. At first, it made no sense at all. Why am I casting on so few stitches? Why aren’t we joining in the round? Why are there so many stitch markers? A raglan sleeve grows out of the neckline. But, like a lost driver with nothing but a GPS guiding her through mist and fog, I blindly followed the pattern’s instructions. Increase here? Okay! Join there? Why not! What I ended up with was a sweater. A real, live sweater that I could plop over my head and wear! Best of all, I didn’t need to seam and I could try on the sweater as I was knitting it to make sure it fit. Unlike a seamed sweater, the raglan’s sleeves grow out of the neckline and meet at the underarm in a diagonal line. This leaves more room for movement. For knitters, this construction means that we can essentially knit the entire raglan in one piece. No seams. Amazing! So where did this ingenious design come from? To whom shall we sing our praises? 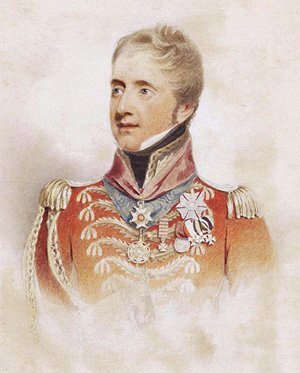 That would be British Army officer FitzRoy James Henry Somerset, the Lord Raglan. After he lost his right arm in the Waterloo Campaign, his tailor began innovating to create shirts and jackets that would fit him comfortably. The Lord Raglan Fitzroy. Notice the empty sleeve on the right. What the tailor came up with is what we now call a raglan. With wide slanted sleeve openings that extend from the neck to the underarm, the raglan easily accommodated Lord Raglan’s single arm and allowed him to dress and undress with ease. After Lord Raglan’s death, the raglan and its wide comfortable sleeve became popular in sportswear and hunting attire. Nowadays you can see it in the form of comfy sweatshirts and baseball jerseys. Luckily for us knitters, the raglan’s ingenious construction and general comfiness (sp?) lends itself beautifully to knitwear. If you’d like to see for yourself how a knitted raglan comes together in one glorious piece, then check out the Everyday Raglan knitting pattern. 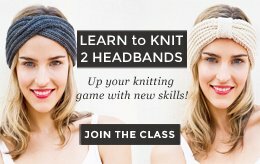 It’s great for beginners and includes a four-part video tutorial that walks you through the whole magical knitting process. Sigh. Just talking about it makes me want to cast on toute suite! I love this sweater, Davina! Did you write it? 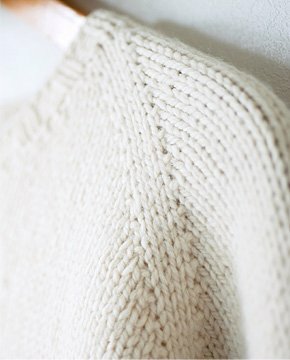 I’ve been looking for a simple sweater pattern for a KAL in 2016 for the beginners knitting community to follow along and conquer their first sweater, this one looks great!!! Hey Sara! Yes, I did write it with help from my tech editor. 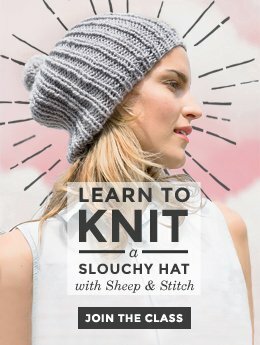 I wanted to design a simple raglan for the beginner knitter. A lot of knitters get very intimidated by the idea of a sweater, but the reality is that if you can knit comfortably, knit in the round and work on double pointed needles, then you pretty much have the skills for a sweater! If you’re interested in working through this sweater for a KAL, let me know. 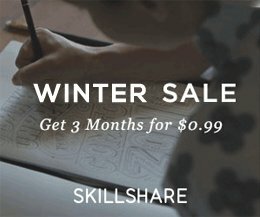 I’d be happy to create a promo code for your community! hey Davina , iwas wondering if you ca tell me the password of the everyday raglan tutorial ? Hey Jourmana, on the first page of your pattern on the left sidebar, you’ll see there is a little lock symbol. Beside the lock you’ll see the password. Let me know if you have trouble finding it.